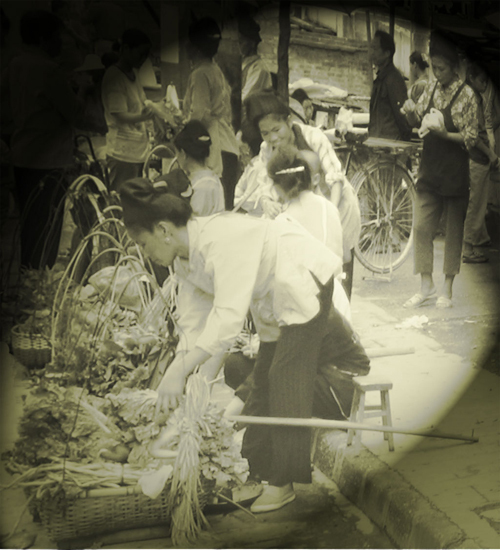 Holachina.com » Chronicle of a Blood Merchant: a novel by Yu Hua (Book Review). Chronicle of a Blood Merchant: a novel by Yu Hua (Book Review). 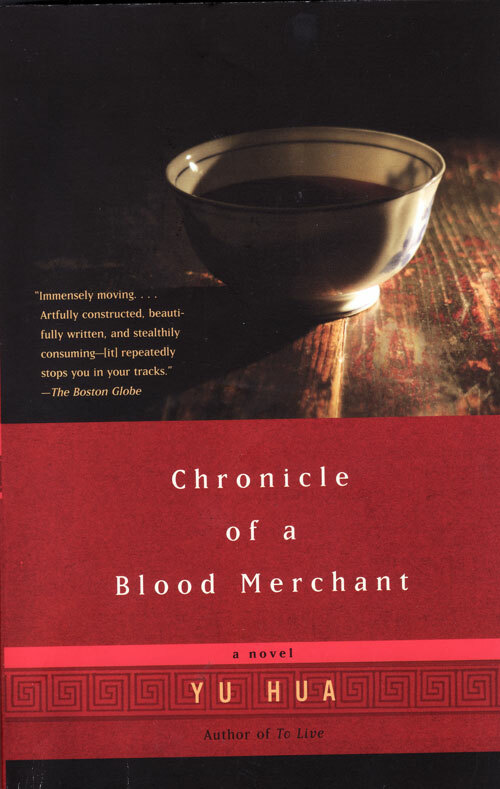 Chronicle of a Blood Merchant, a novel by Yu Hua. Published by Anchor Books. Translation by Andrew F. Jones. Among other works, Yu Hua is the author of To Live (turned into an acclaimed film directed by Zhang Yimou and starring Gong Li) and Brothers. 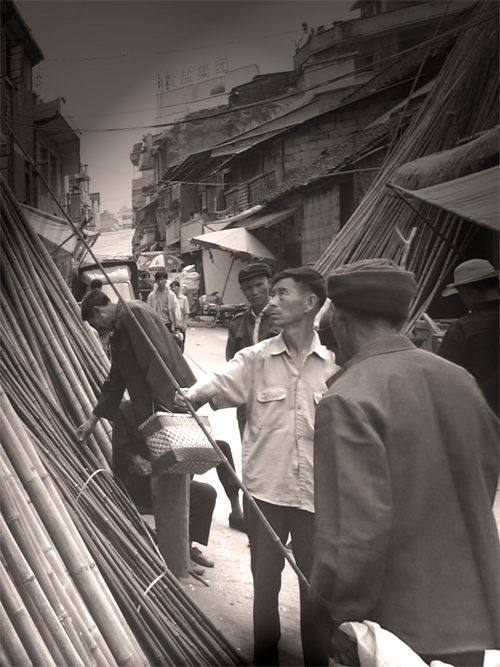 The main character is Xu Sanguan, a cart-pusher in a silk factory in a small rural town. Xu is persuaded by two peasants, residents from the village of Xu Sanguan’s favourite uncle, that he can sell his own blood for a handsome sum, and thus supplement his meager income. 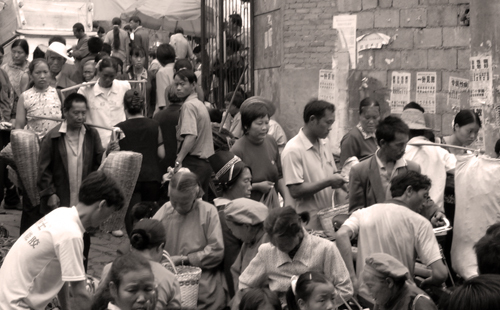 Reluctantly, dragging his feet, Xu Sanguan accompanies them to the hospital for his first blood sale. We soon learn that the main reason for his reluctance is not cowardice, but the fact that selling your own blood is traditionally taboo in China; which is also why the hospitals pay such a high price. 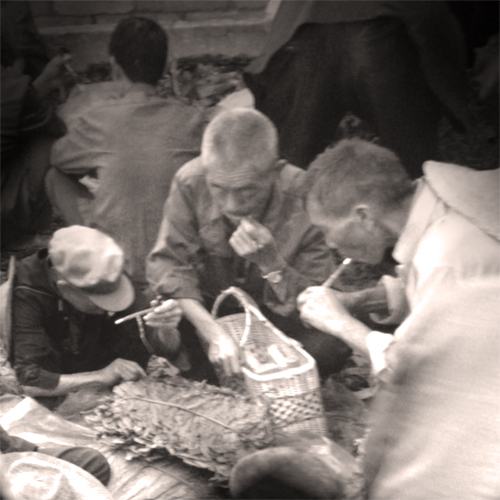 Xu Sanguan uses the money from this first sale to get married and pay for the wedding. After the initial happy years of married life, he discovers that his first son was born as a result of his wife’s relation with a previous lover. For Xu Sanguan this is the ultimate humiliation. 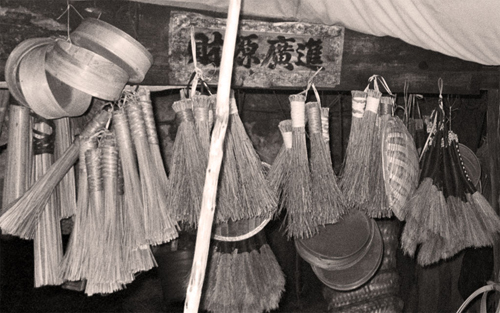 He becomes the laughing stock of the village and is openly pointed out as a ‘cuckold 戴绿帽子’, while his poor, hapless wife is publicly denounced as a prostitute. In the aftermath of this discovery, Xu Sanguan will have to take many heart wrenching decisions as he struggles with himself over the correct way to fulfill his obligations as a father and husband, and ponders the importance of blood ties versus other relationships. In order to keep his family afloat in adverse times, Xu Sanguan is forced to sell more and more of his blood, knowing full he is damaging his health. As the family’s situation becomes ever more desperate, his visits to the hospital become dangerously frequent, building up to a tense and gripping finale. The setting for the novel is a small town in rural China during some of the most tumultuous episodes of Mao Zidong’s communist rule, such as the Great Leap Forward and the subsequent famine, or the Cultural Revolution with its ensuing chaos and disruption of family life. 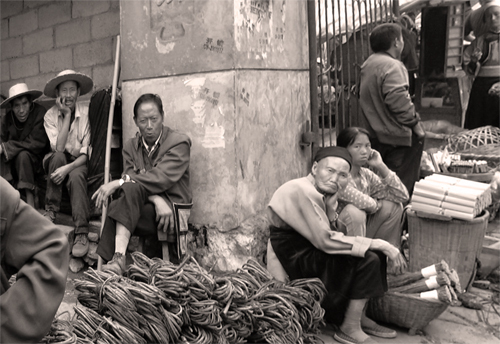 All these events take their toll on Xu Sanguan and his family. 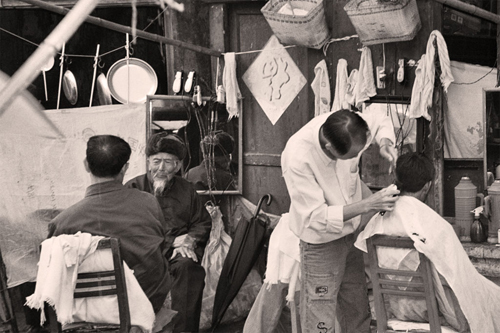 The story ends with the economic opening of China and the different aspirations of parents and children this freer society brings with it, distancing Xu Sanguan once more from his sons. The characters are what I liked most about the book, in particular the protagonist Xu Sanguan and his changing and evolving relationships with his wife and eldest son. 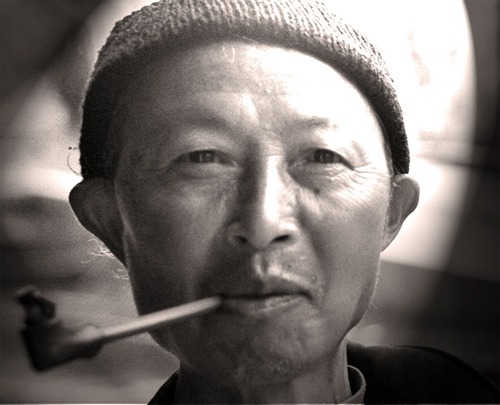 While at the beginning of the novel Xu Sanguan’s – and his wife Xu Yulan’s – behaviour and motives often seemed incomprehensible to my Western mind, towards the end of the story I found that I had matured with them and come to understand them. 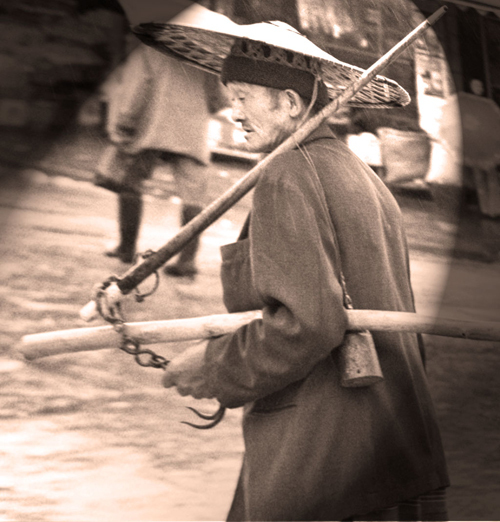 Throughout the book, the author vividly brings to life what it must have been like to live in a small rural town in China during those turbulent times, and how people’s relationships were affected; sometimes pushing people to incredibly cruel and callous deeds, while at other times bringing out their generosity and solidarity. 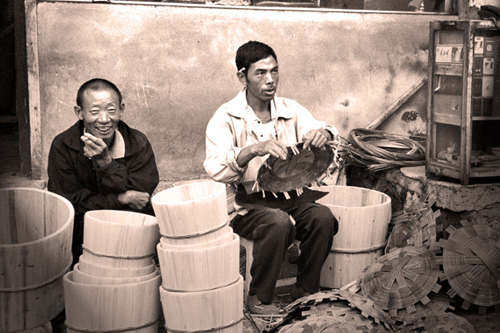 One unusual trait of the translation was the way in which the translator used Chinese Idioms and allegorical sayings. Rather than translate them in a way that shows their meaning, he just translates them literally, word for word. For example: “to jump into the Yellow river, can’t get clean” (跳进黄河 – 洗不清). This means “whatever I say or do no one believes me”. Or: “Pull your pants down to fart” (脱了裤子放屁 – 多费一道手续). This means “a waste of time or effort”. If anyone knows this Chinese saying and its meaning, please leave a comment. The selling of blood during the time the “Chronicle of a Blood Merchant” is set was dangerous to one’s health if you overdid it. However, there is an air of innocence in the actions of the protagonists, even the blood collector, Blood Chief Li, at the hospital was concerned about people donating too much blood. Fast forward a few decades and we come to the great blood donation scandal in Henan province and the HIV aids epidemic it produced. The next book we will review, Dream of Ding Village by Yan Lianke, is a harrowing tale of death, corruption and the true horror that affected hundreds of thousands of people in the villages near Kaifeng. Yan Lianke’s book is set in an era where all innocence was lost. 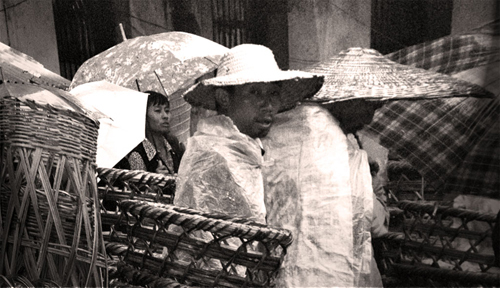 All the photos except one were taken in Anshun 安顺 and Rongjiang榕江, Guizhou Province in 2003. But in fact, pubic hair is always going to be more “base” than eyebrows, which are a sign of wisdom. I think that translation is poor, because “come out” usually means “fall out” when referring to hair. Like you say, it’s a choice to translate proverbs literally – not a choice I completely agree with, but a defensible choice. But having made that choice, you have to do it well. I don’t see what value translating into pidgin adds. Thanks for clearing that up. Your translation makes perfect sense in the context of the book. Do you know how the exact saying is in Chinese? I can’t seem to find it.